Even cloudy skies couldn't darken their day. Katrin contacted me a few days before the wedding. "We have to find a new venue. My aunt's backyard flooded." 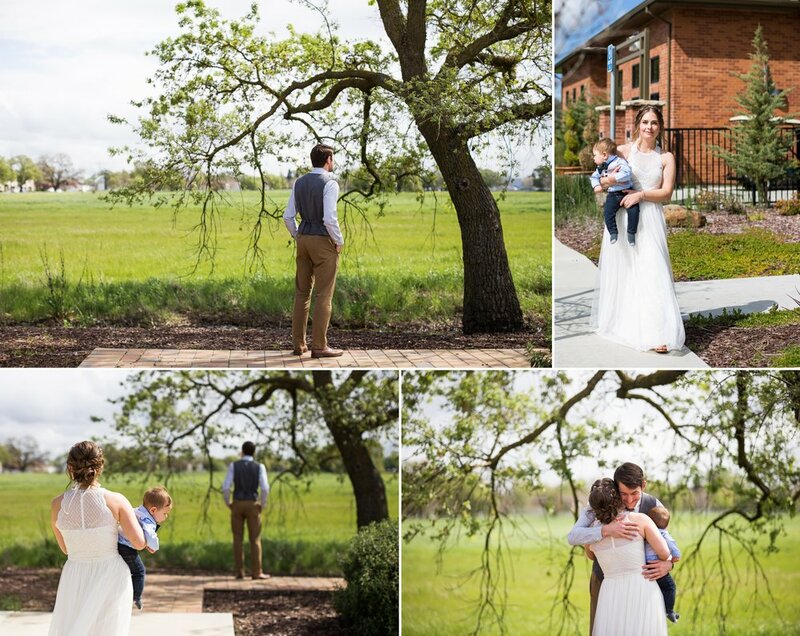 The mid-March rains had altered their wedding day plans, but luckily The Fall Event Center came to the rescue. Frankly, it couldn't have been more perfect. 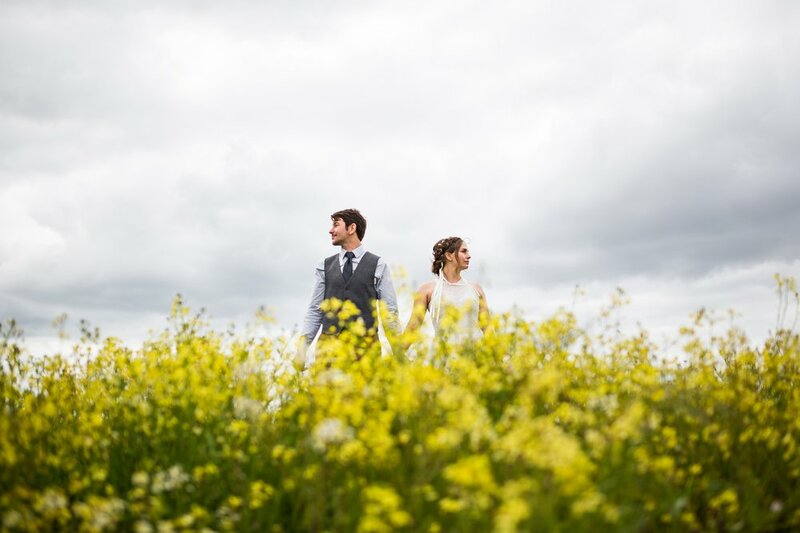 The bold yellows of Katrin and Clayton's palette was found in the blooming field on the property of the venue. Clouds loomed in and out of view throughout the day, but their love kept everything warm and sunny. This was a morning wedding, so they served a buffet breakfast and donuts and kept a very casual vibe, spending quality time with their guests and family who came to celebrate. Katrin hand-made the ceremony decorations, and her sister, Zoe, designed the bold blooms. Their baby boy even got to dress up and partake in the First Look, which made the moment all the more special. They are both such a genuinely sweet couple and I am so thankful to have been a part of their lovely wedding! 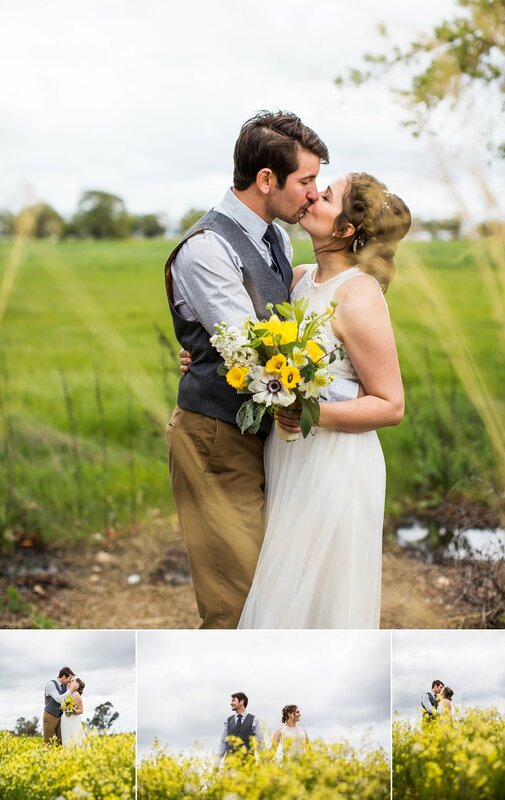 "I was feeling pretty sad about the venue change and how all my decorations and planning changed last minute, about looking back how it felt it like a whirlwind. I never had a chance to wrap my head around all the changes and just enjoy the moment. Seeing your photos made me happier than I thought possible and I love seeing that you captured how happy I actually was! I am so thankful for you!" What a dream for a photographer to hear!